The ideal family day out. Go Karting, Cable Wakeboarding, Kayaking, SUP, Archery, Ten Pin Bowling, Soft Play Centre, Cafe & Dining Room & award-winning Farm Shop selling farm raised meat & locally sourced produce. Free entry & free parking. Open all year 7 days a week from 10am. Call for wakeboarding, bowling and evening bookings. 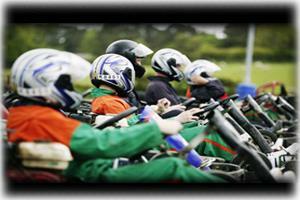 Karts - arrive and drive. See website for price details.